Yes, you read right: Wiimote. You can use Bluetooth to pair a Nintendo Wiimote with your Android device to use as a controller with the Wii Controller IME app, available in the market for $3.99, and linked below via QR code. Please note that this emulator is not useable on all phones, and will probably perform poorly (if at all) on phones with ARMv6 (previous generation) processors. This is mostly because complex 3D rendering requires the power of ARMv7 instruction set processors coupled with discrete GPUs (such as the ones found in the EVO 4G, Nexus One, Motorola Droid, Galaxy S, Desire, Droid X, HTC Incredible, and the Dell Streak). 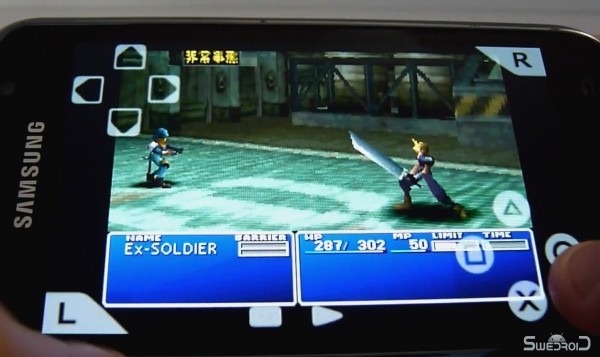 Regardless of its limitations, this emulator is a big step in the right direction (albeit a legally questionable one) for Android gaming. ZodTTD has stated previously his next endeavor will be a Nintendo 64 ROM now that PSX4Droid has been released, so stay tuned!